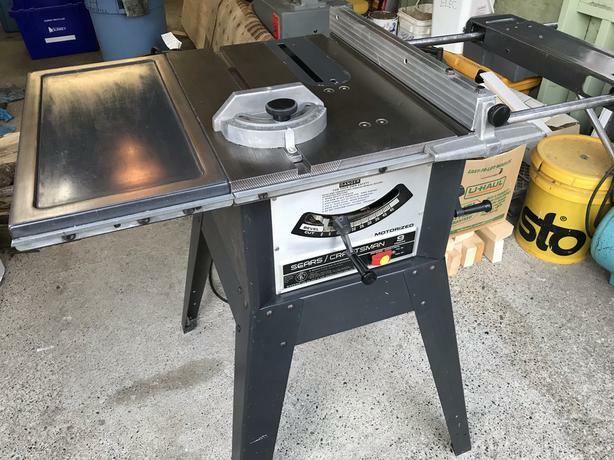 Built in 1976, at a time when they still cared about quality, this well-maintained Craftsman 9" table saw comes with a fully reconditioned and polished cast iron top for smooth and consistent cutting performance. Comes with mitre gauge, fence, custom cross cut sled and steel table top extensions for wider stock. I've just inherited my father's other (slightly larger) saw, so need to let this go to a new home. All cleaned and ready to go.